Fantastic quality at a low price! 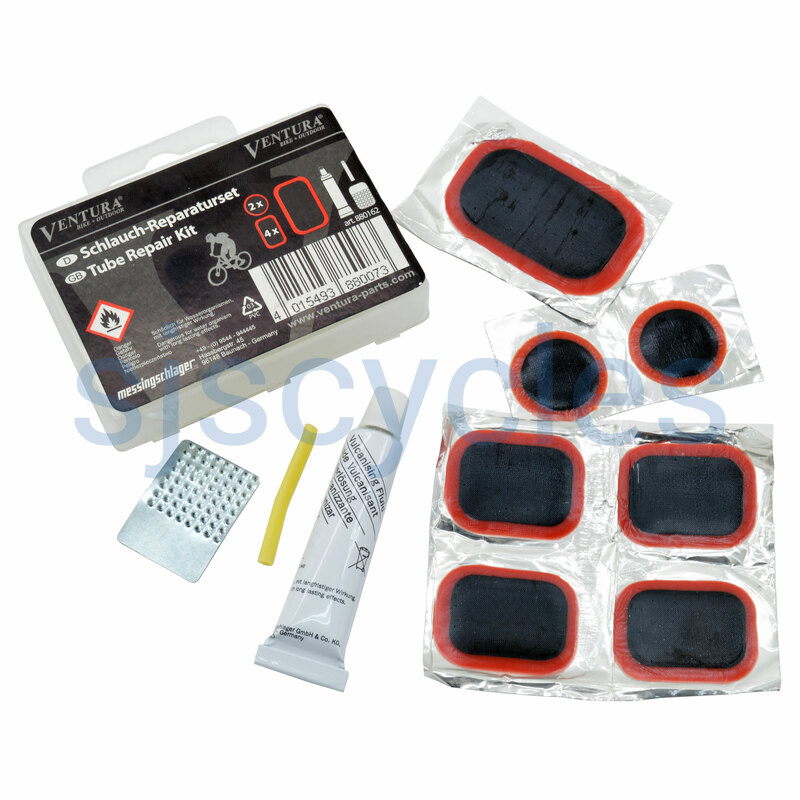 Includes 10ml vulcanising fluid (glue), abrasive file 7 assorted feather edge, foil backed patches and 2cm of woods valve rubber. this is a basic kit with what you need to mend punctures plus a woods valve piece of valve tubing. Sorry, but that's how it is. Just awful. I bought this last June and last night gave up after trying to use it for the second time...in a vain attempt to fix the first patch which was leaking at the edges. In the first place the glue didn't work at all so I substituted the left over from an old kit which I luckily had with me. Then, as a previous commenter said, the patches are hard to extract from the covers. I wasted one after the cover peeled off to reveal the sticky side first making it impossible to apply. Finally the patches are so stiff that it is very hard to apply successfully to a (curved!) tube, especially at the ridged seam. I found it almost impossible to get the edges to stick properly, lacking as I do the many fingers I would need to hold all down at once. I think I'll have to bin the basically new inner tube I was working on as it is too bodged up by the first patch effort from this kit I fear even with a proper tip top patch to fix the leaking edges it'll just fail again. Does the job, everything you need at a good price. Superb value. No need to say say any more. Perfect.